Informal taxation plays an important role in people’s everyday struggle to secure their livelihoods. We need to look at what people have to pay to get by if we really want to open up opportunities to create resilient livelihoods in conflict affected situations. When people think about projects aimed at supporting livelihoods, the focus tends to be on trying to increase people’s incomes or productive capacities [^]. Aid agencies distribute seeds, provide loans to small businesses and try to stimulate value chains. Largely ignored in attempts to support livelihoods is the expenditure side of the equation – what people have to spend in order to keep their children in school, get treatment when they are sick, buy and sell produce, travel to and from towns, and establish and maintain businesses. One way we’re hoping to correct this imbalance is by starting some joint work with the International Centre for Tax and Development [^] on the relationships between taxation and livelihoods in conflict-affected situations. There’s a newly published working paper and initial empirical research being planned for later in the year. IS IT TRUE THAT POOR PEOPLE ARE UNTAXED? It’s fair to say that the growing development literature on taxation has not paid much attention either to the informal sector or to places affected by fragility and conflict. And when the informal sector is discussed, it’s often only in terms of how revenue authorities might be better able to tax informal economic activity – to bring the informal sector into the fold and regulate it. There’s often an assumption either that those working in the informal sector should be paying tax but are not or that they should be tax exempt for reasons of social equity and thus don’t deserve greater attention from those focussed on tax issues. But is this true? 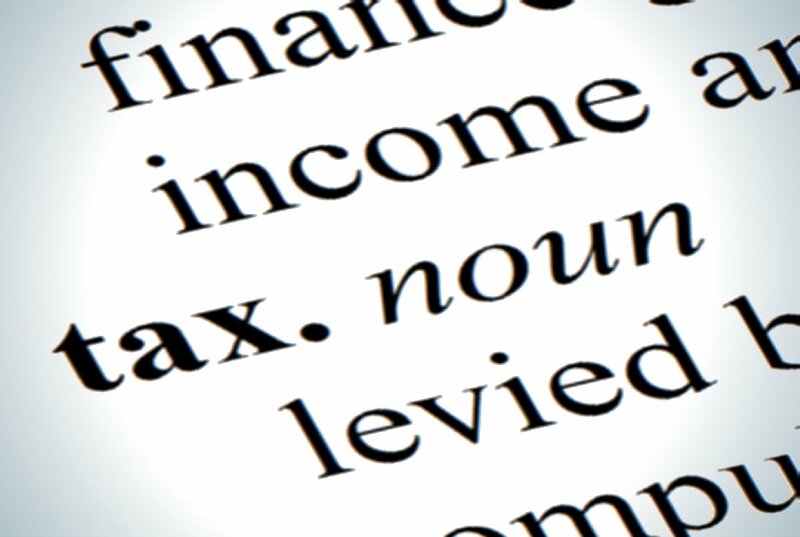 While many individuals and households might not be paying official and codified taxes registered by national governments and central tax authorities, it does not follow that their livelihoods are going ‘untaxed’. Often they are paying a large number of formal and informal payments in the form of taxes, fees, licenses and bribes in order to keep their children in school, get health care and trade and produce goods. If we are interested in the relationship between taxation and livelihoods, then we should be considering the full range of payments that people have to make to get by and get out of poverty. We propose, therefore, a broader concept of taxation – one which captures both its formal and informal dimensions, and which might be defined as follows: ‘all payments that are made as the result of the exercise of political power or armed force (as opposed to market exchange)’. From the point of view of an individual or a household, whether payments are formal or informal, legal or illegal makes little difference in terms of their impact on livelihoods. At a basic level, any form of taxation has an immediate negative effect on a household’s economy. When people have to pay fees to run a market stall or taxes when they trade livestock, then this reduces household income. Taxes incurred at markets or payments demanded when crossing administrative boundaries can reduce the profitability of producing goods for market, engaging in petty trade or starting small businesses. Further still, requirements to provide in-kind labour contributions to ‘community’ initiatives (such as road repair) can reduce the time available to engage in other productive activities, earn income through casual labour or migrate for work. Good evidence on these issues is hard to come by. But the limited research that does exist suggests this is far from a trivial matter. In a previous SLRC blog, Katherine Haver told us how, in eastern DRC, for every 20-litre bottle of palm oil produced and sold at market, the state takes 7 litres (as well as $0.12) while the military takes a further 7 litres (plus $0.25). And then there’s another $10 per year to access the trees, plus a tax on the machine to extract the oil. A recent series of protection surveys [^] by Oxfam similarly finds that ‘in many areas [of eastern DRC], extortion and illegal taxation mean that impoverished communities are viewed as a major commodity of war’. A study from last year on the livestock trade in Darfur [^] found that the formal taxation burden had almost doubled between 2002 and 2011, and that traders now have to pay for armed guards to accompany their herds and numerous checkpoint fees to ensure safe passage. WHY SHOULD WE BE INTERESTED IN THESE ISSUES? To the extent that taxes enable governments to deliver services, ensure security and create a regulatory environment for business, taxes can have positive impacts on livelihoods. Being able to access basic services such as health and education, transport goods along roads that are maintained and make a living in a secure environment are all critical components to livelihoods. A focus on taxation may open up opportunities to create more resilient livelihoods by advocating for changes to how people are taxed. A better understanding of how taxation works at the local level may also provide a contribution to debates around state-building in fragile and conflict-affected situations. These have often been framed around the idea that if the state can be supported to do more for its citizens in terms of delivering basic services and ensuring greater security and justice, then state-building outcomes will follow. Relatively neglected in debates about what creates legitimacy and so strengthens states are questions about how state actors could become less predatory and extractive. A focus on how people are currently taxed and whether this could be shifted to be less negative and better linked to provision of services could contribute to state-building debates. 1) The full extent of formal and informal taxation incurred by individuals, households and small businesses. For example, as an overall proportion of household income or of business costs. 2) The positive material impacts of formal and informal taxation. That is, where paying taxes results in a benefit, whether it be formal and legal (such as receiving health care) or informal and unofficial (for instance, getting onto a food aid list). 3) The relationship between taxation and livelihood choices and behaviours. How does the extent and nature of taxation affect what people do in order to make a living? For example, do people in eastern DRC give up palm oil production because it’s too heavily taxed to be worthwhile? 4) The relationship between taxation and governance. Does the way people are taxed (formally and informally, corruptly and legally) affect their views of the legitimacy of the state? Here we will be exploring the potential transformative, socio-political effects of taxation. We’d be keen to hear from other people working on these issues, anyone planning or already doing research asking similar questions, and examples from other contexts of how taxation – broadly defined to cover both its formal and informal dimensions – impacts on people’s ability to make a living both during and after war and violent conflict.